Kandake farmhouse and the remaining snow. 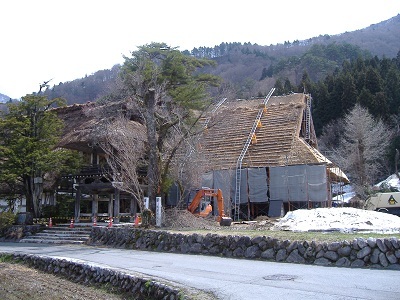 Nagaseke farmhouse in the bright spring sunlight. 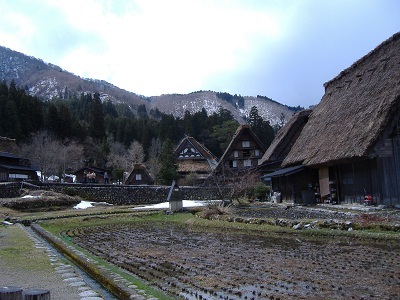 Gassho farmhouses and Kamakura, a melting snow hut. 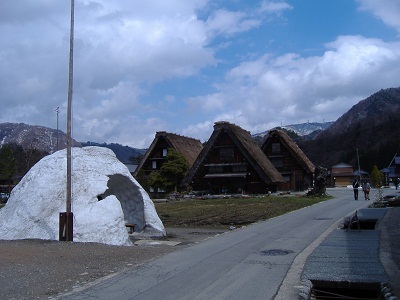 Remaining snow and Gassho farmhouses. 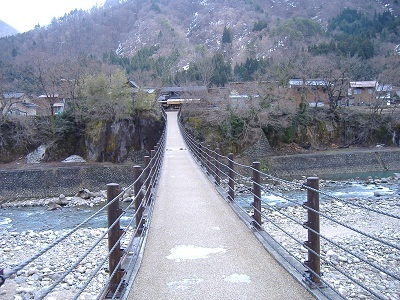 Empty suspension bridge. Foreign tourists should not miss this golden opportunity for sightseeing. This region is safe and secure far away from massive quake damaged region. 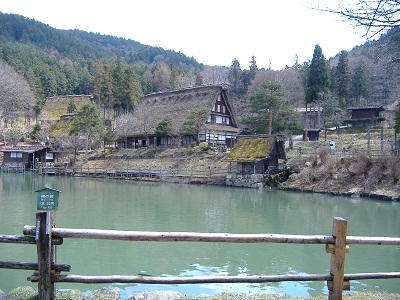 The whole view of Hida-No-Sato, Hida Folk Village. 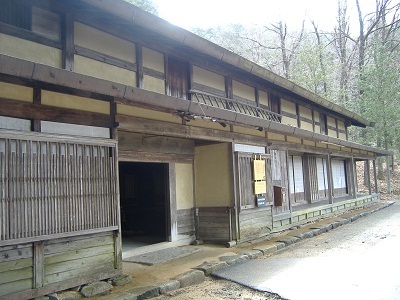 Old farmhouses were moved from Hida Region and reconstructed here in order to preserve important cultural assets. This village was open to the public in 1971. 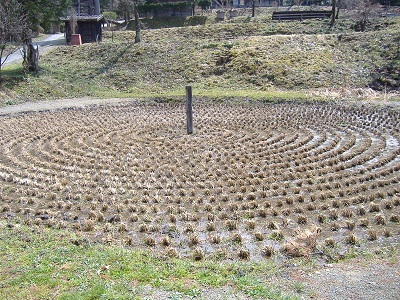 Kurumada, circle method rice paddy is regarded as a sacred place, and the Gods are supposed to be at the center pole. 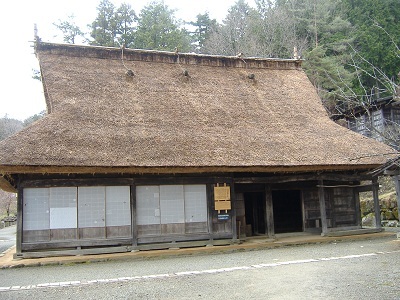 Wakayamake is a thatched-roof gassho farmhouse, which was first moved here from Shogawa village. 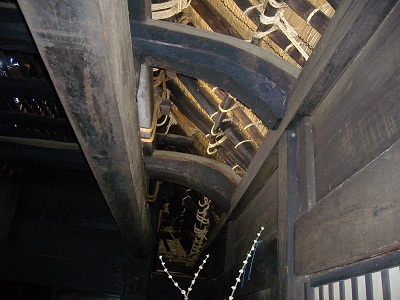 Inside the thatched roof. 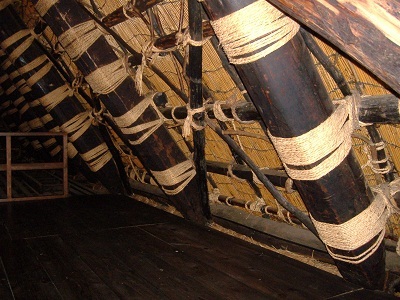 Straw ropes and Neso trees are used to bind the lumbers. 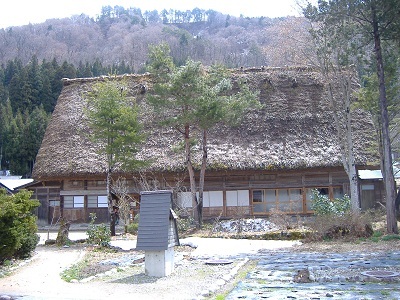 Taguchike was served as a village head in Kanayama 50 miles south of Takayama. 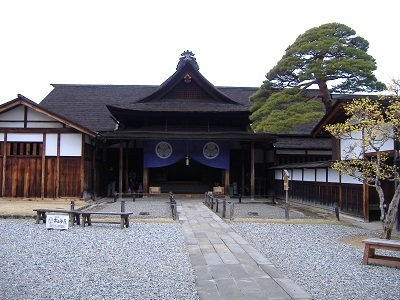 The roof is shingled with Japanese cedar due to relatively mild winter. 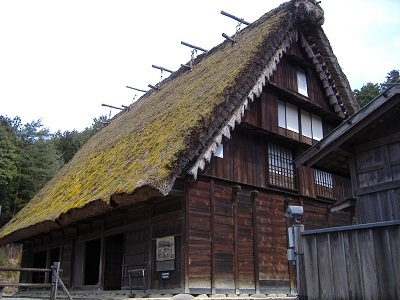 Yoshizaneke is a thatched roof farmhouse, built in the middle of 17th century at Kawai village. 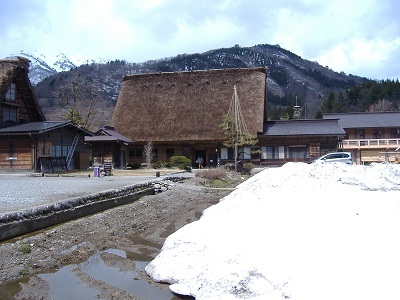 Thatched roof because of a heavy snow-fall region. 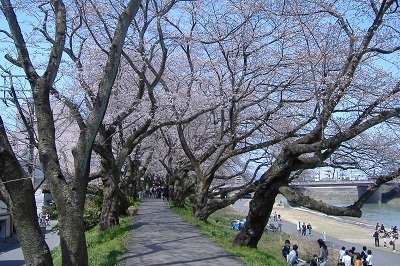 Two-forked trees are used as main pillars. 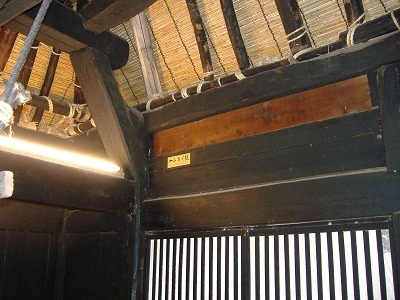 Curved beams are used to support a heavy thatched roof. 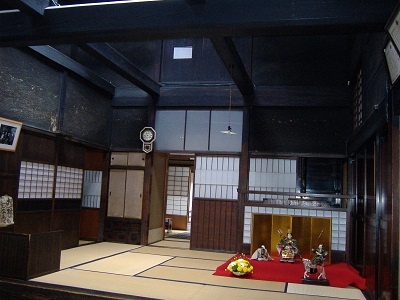 Takayama Jinya, administrative office in the Edo period. 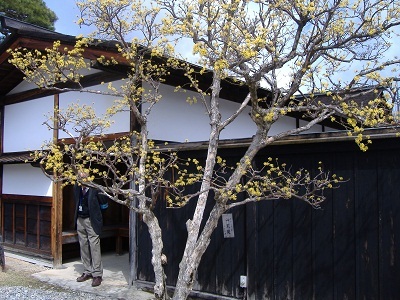 Sanshuyu, Japanese cornel blooms at the compound of Jinya. 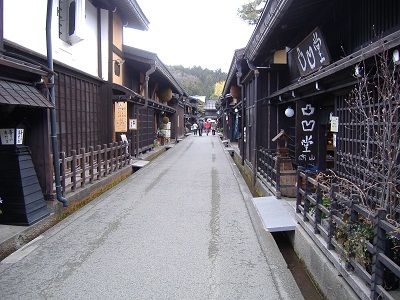 Kami-Sannomachi, most beautiful rows of traditional houses. 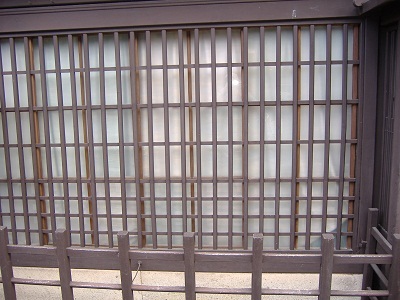 Takayamagoshi, a characteristic feature of lattice windows. 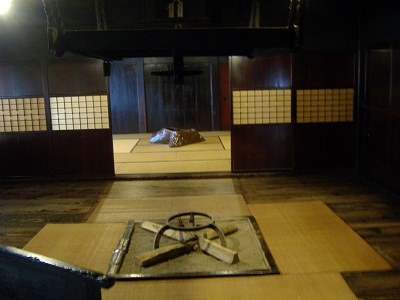 Dozo, a sake brewery cellar. 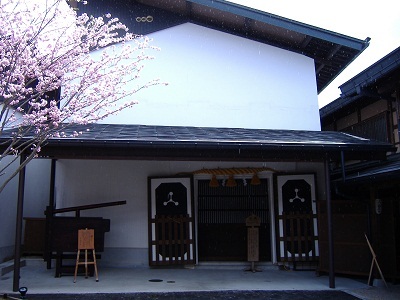 Futagi-shuzo, old established sake brewery. This brewery is called”Kagaya”, too. 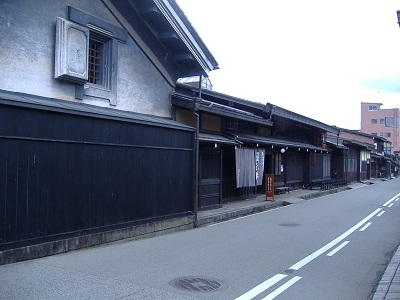 The ancestor of this brewery moved to Takayama from Kaga, present Ishikawa Prefecture late 17 th century. 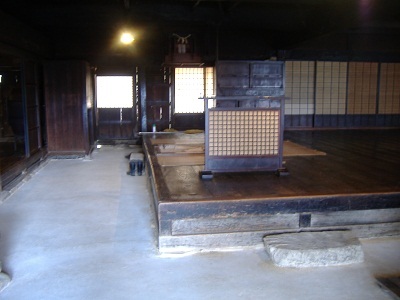 Dei, a guest room of the brewery. 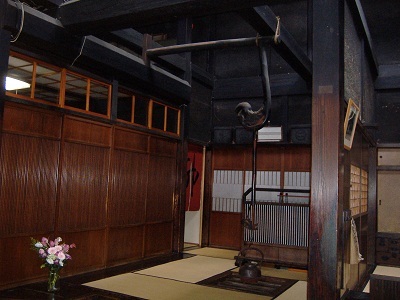 An adjustable pothook at the back room of Dei. 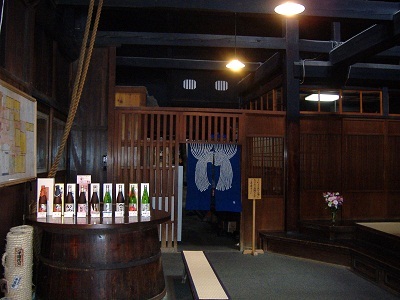 Variety of sake is exhibited for sale. 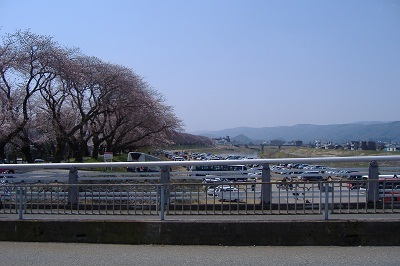 Cherry trees are in full bloom between Sakurabashi bridge and Saigawa Ohashi bridge along the right bank of the Saigawa river. 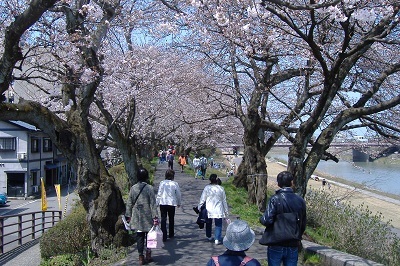 People are strolling under the full bloom of cherry trees. 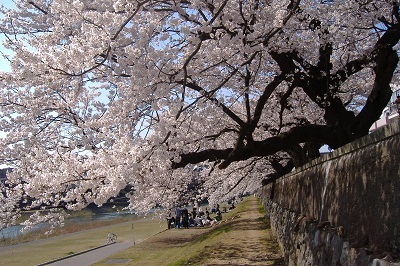 Big old cherry trees are stretching their branches toward the river-bed. people enjoy their gathering with foods and drinks. 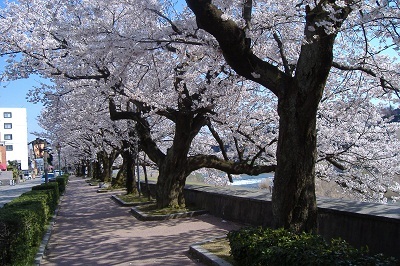 Along the sidewalk, cherry trees are very beautiful. 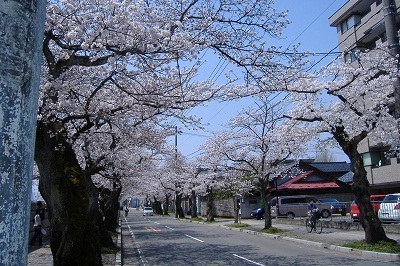 Cherry trees are blooming along the road. 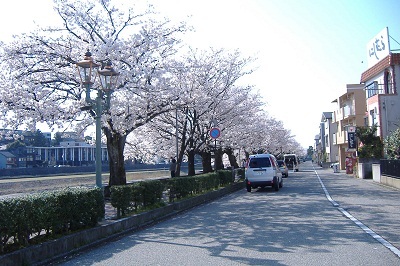 The road runs beside the right bank of the river lining up with cherry trees. 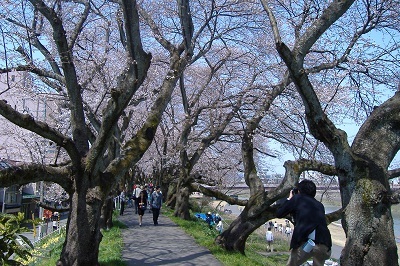 People are strolling in the tunnel of cherry tree in full bloom. 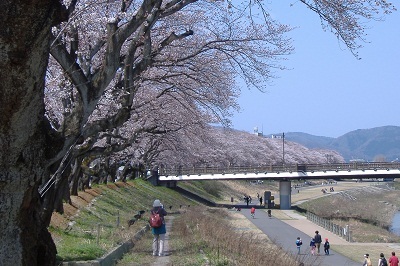 Cherry blossoms along Asuwagawa River are chosen as the 100 best cherry blossoms in Japan. 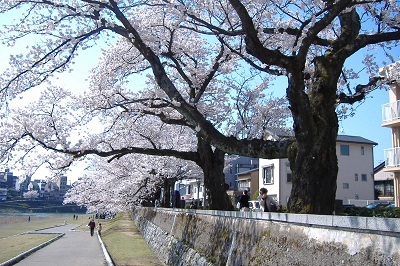 600 big old cherry trees are planted 2.2 km long along Asuwagawa River. 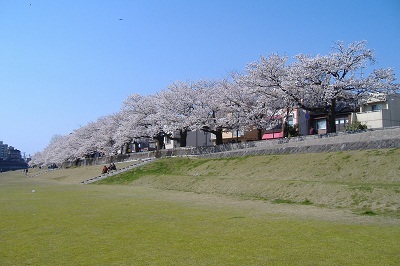 Cherry trees on the left bank of the river are blooming. 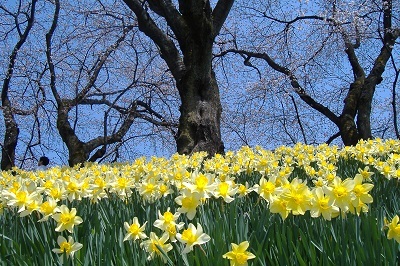 Etizen daffodils and cherry trees are blooming simultaneously. 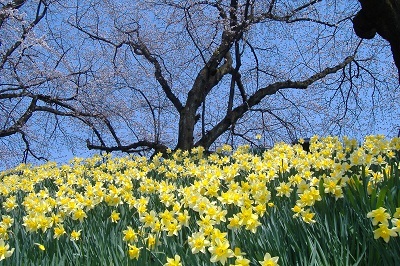 Etizen daffodils and cherry blossoms are attractive combination. 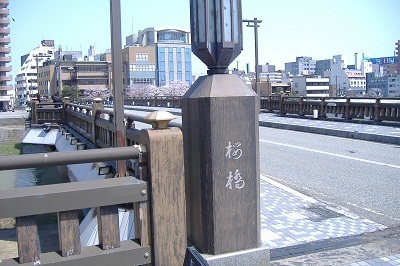 Sakurabashi bridge across Asuwagawa River. 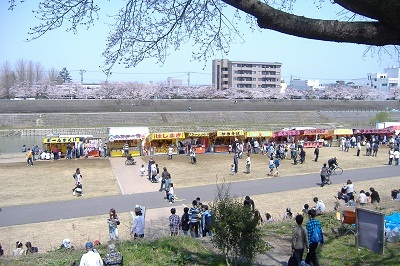 Food stalls on the river-bed. Temporary designated parking lot on the river-bed. 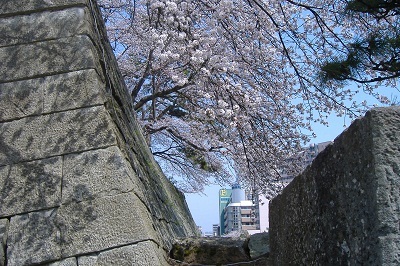 Stone walls, moat and cherry blossoms at Fukui Castle. 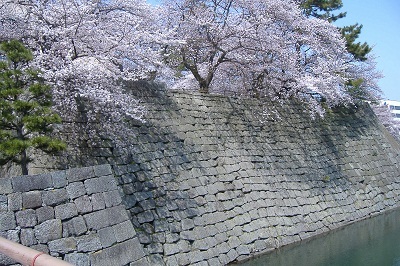 Stone walls and cherry blossoms. 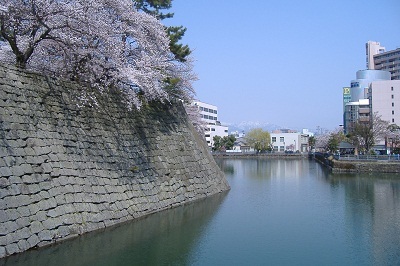 Moat and Stone walls at Fukui Castle. 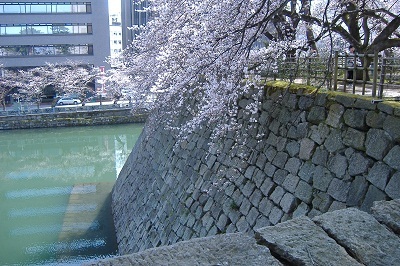 Cherry tree blooming between stone walls.